View cart “United States Military Challenge Coin Peace Through Superior Firepower Symbol” has been added to your cart. 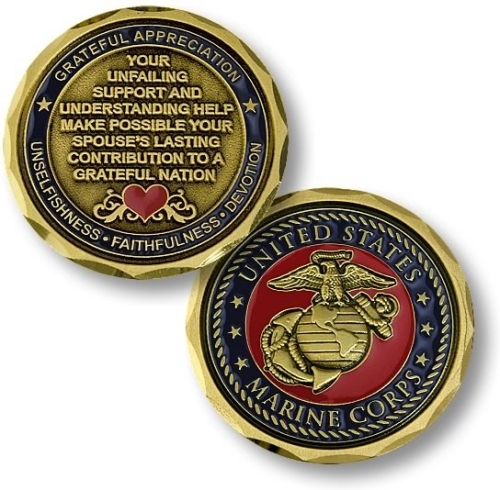 Every US Marine Corps spouse should be given one of these attractive coins in grateful appreciation for the unselfishness, faithfulness, and devotion they extend to their partner. Their unfailing support and understanding are vital to the success of that Marine. Whether at home or on assignment with their spouses, these Marine partners face daunting challenges and stressful situations day in and day out. This Marine Corps Spouse coin is a symbol of the honor they so richly deserve. The US Marine Corps Spouse coin is minted in bronze with an antique finish. The front is a moving tribute to the Marine spouse, beautifully accented with rich enamels. 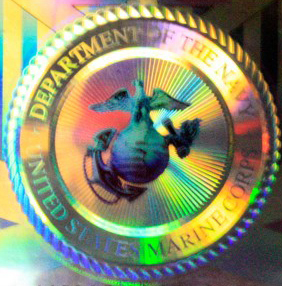 The reverse is a handsome and classic representation of the Marine Corps crest. 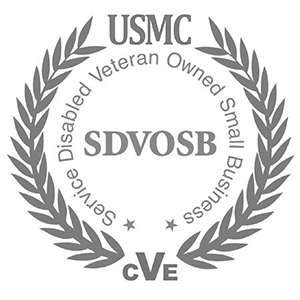 Looking for Marine Corps logo item? Make sure you drop us a note. Everyone on the Survivors Edge staff are Marines. This collector’s coin is perfect for your Marine or their family members.